Personal care service allows you and your loved one “piece of mind” knowing that they can stay at home and “age in place” the ultimate goal to stay home. By providing in home services of care you can go about your normal day to day routine without worry, knowing that your loved one is receiving excellent care from an experienced, trained and trusted caregiver. Every case has a Registered Nurse create an individualize care plan and is supervised on an ongoing basis. Vacuum, sweep and mop floors, clean kitchen, wipe kitchen counters and scour kitchen sink, clean refrigerator and check for spoilage, clean bathroom of client, wipe bathroom counters, clean bathroom sink, clean commode, empty and clean bedside commode, clean tub or shower, light dusting around items. Prepare meals and assist with feeding, assist with feeding tubes and tray delivery. Wash, dry and fold clothes, change bed linens and make bed. Assist with transfer or stand-by assist with bathing in a tub or shower, bed baths, shampoo, brush and comb hair, skin care, peri care, oral hygiene, dental care and shaving. Assist with selecting clean clothes to wear. Assist with transferring to and from the commode, changing, catheter care, colostomy care, intake and outtake. Assist with transfers using transfer belt, slide board, and mechanical lift. Turning and positioning, range of motion exercises, and bed assistance. Take care of walking the pets, watering the plants, playing games, arts and crafts, outside and inside gardening, reading, clipping newspaper coupons, encouraging singing and listening to music, etc.. This service allows piece of mind that the caregivers will receive the families, Home Health Care Nurse or the Hospice Care Nurse medication instructions on when the client should receive their medications. 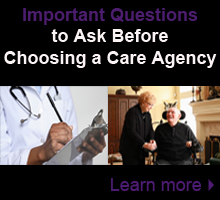 The caregiver will be sure that the client has the medication that they have been instructed to offer.